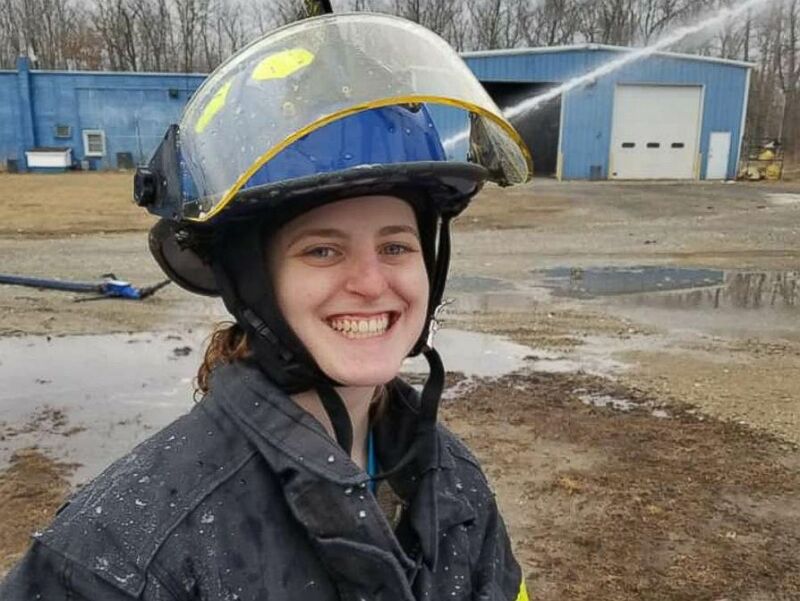 A 21-year-old volunteer firefighter from New Jersey was killed Christmas morning when her car crashed into a guardrail as she responded to an emergency call, officials said. Natalie Dempsey, worked for the Mizpah Volunteer Fire Company 18-2 and was the vice president of the organization. The company announced her death on its Facebook page at 8:30 a.m. Tuesday. Dempsey was driving her 2001 Honda Accord to a call just after 6 a.m. in Hamilton Township, New Jersey, when she apparently lost control and drove through a guardrail and off the road, according to New York ABC station WABC. Natalie Dempsey, 21, who worked for the Mizpah Volunteer Fire Company 18-2, was killed responding to a fire on Christmas morning. Dempsey was a New Jersey native with an "infectious" smile, Dempsey's fellow firefighter, Tiffany Platt, told ABC News on Wednesday. Besides working as a volunteer firefighter, Dempsey was also studying to become a police officer, Platt said. "She wasn't done," Platt said. "She just wanted to help people. It was who she was. It was what she wanted to do." Natalie Dempsey, 21, who worked for the Mizpah Volunteer Fire Company 18-2, was killed responding to a fire on Christmas morning. She poses for an undated photo covered in firefighting foam. Dempsey was pronounced dead on the scene and was the only one in the car, WABC reported. Her car was only found after her own fire company stopped to assist other officials at the accident scene when returning from the initial fire to which Dempsey was reporting. The Mays Landing Fire Department, which works with the Mizpah volunteer force, responded to the accident. The department called her "vibrant" and "always smiling." 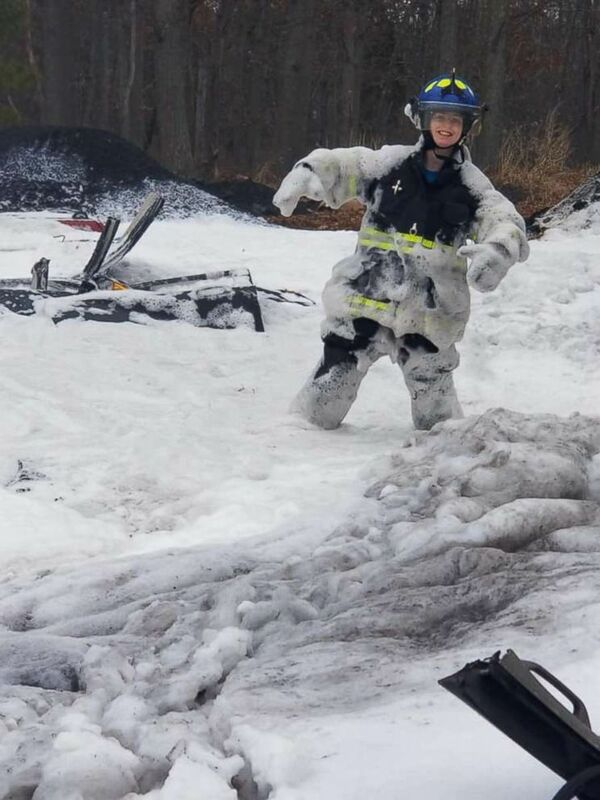 Both companies shared photos of Dempsey, one with a huge smile decked out in full uniform and gear, as well as another where she is playfully posing covered in firefighting foam. "Please join us in extending our thoughts and prayers to Ms. Dempsey's family as well as to her firehouse family during this tough time," the Mays Landing Fire Department said in a statement. "Natalie Dempsey, thank you for your service; we'll take it from here." "It's not just a volunteer fire department -- this is a family and we lost a member," Platt said. "We just want everyone to slow down, pay attention, always say 'I love you' when you leave. Because your time is never given."